This theft ring provides a new security for your bike. Fixed to the floor or wall with the 2 auto-broke plugs supplied with. 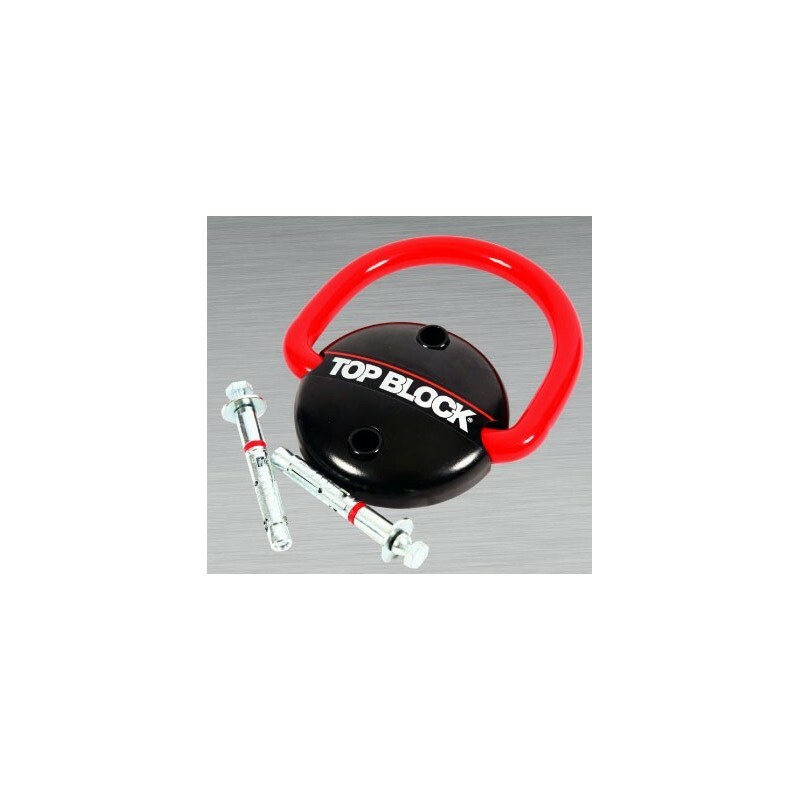 Such as Top-Block locks, it is hardened steel, epoxy paint. 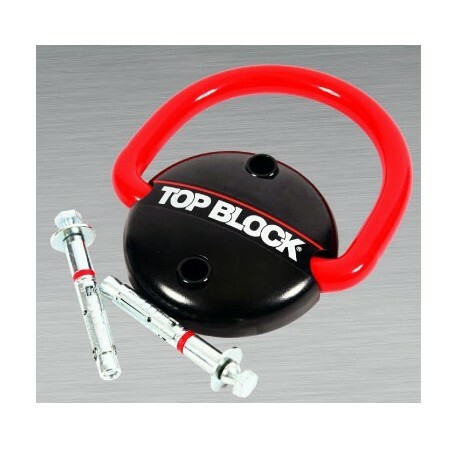 Use with your U-lock.